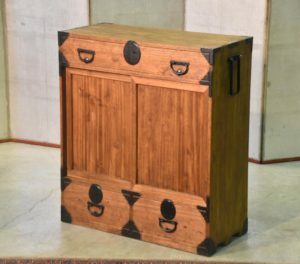 A small Japanese Chest used for the storage of tea utensils. SKU: 12359. Categories: Chests, New Arrivals, Small Chests.